China's Claim for Gold Catapults, Will a New Record be Set? Home » China’s Claim For Gold Catapults, Will a New Record be Set? China’s Claim For Gold Catapults, Will a New Record be Set? China gives a glimpse into their plans for the massive quantities of gold they continue to buy. Here, we offer more insight on their tactics and how it may have adverse effects on the dollar. 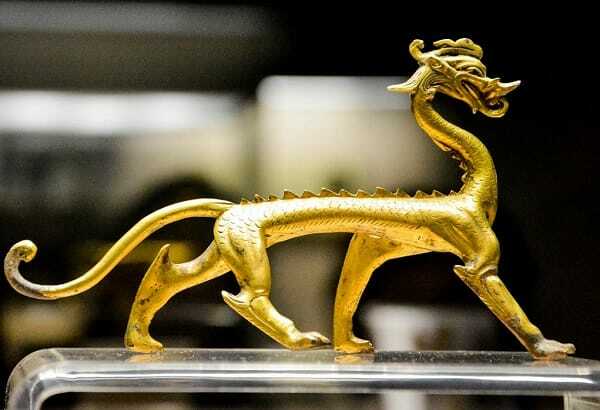 For some time now, mainstream analysts have been insisting that Chinese gold consumption is nowhere near the gold withdrawal numbers reported by the Shanghai Gold Exchange (SGE). With as much as a 1,000 ton difference between official SGE numbers and analysts’ estimates, there have been various theories on why SGE withdrawals paint a picture of much greater consumption. Writing for Mineweb, Lawrence Williams recently tried to shed some light on the discrepancies between SGE withdrawals and analysts’ reports, as well as the direction China might be moving towards with the precious metal. In his Bloomberg Precious Metals Forum presentation, Philip Klapwijk former executive chairman of GFMS offered his take on the issue. Klapwijk – operating out of Hong Kong himself – attributed the 1,000 ton discrepancy to “technically illegal“ cross border movement of gold from mainland China to Hong Kong. However, Klapwijk also noted that the amount of gold moved across the border has fallen off in recent years due to law enforcement, which begs the question – where is all the gold withdrawn from the SGE going, if not to satisfy consumer demand? Right now, it’s looking like SGE withdrawals could match or even exceed the record numbers reached in 2013 – especially when taking into account that demand thus far has been high during what is usually a low period for SGE movement. The gold is flowing as per usual, but Williams believes that “what China intends to do next“ is the big unknown. While Williams believes that this prediction might be a bit hasty, he still thinks that China and its allies would like to re-establish gold’s role in global trade and the monetary system. This is counter to the mindset of the Western economic establishment which ridicules any notion of China using gold to back its currency, even if it’s not a full-fledged gold standard. Williams reminds us that ‘thinking outside the box’ and quick implementation of ideas has always been China’s forte, and that “the possibility that the Asian Dragon might come up with some kind of radical currency move that runs counter to accepted western economic thought“ can’t be written off. And what could this mean for the dollar and the country behind it? American political involvement in the South China Sea has already sparked some tensions between the two countries, with China feeling that it’s none of the States’ business. What could aggravate the situation further is the growth of the yuan’s influence, or rather, any opposition it might encounter from the U.S. While a certain economic truce exists between the two countries, Williams advises the U.S. against getting in China’s way to protect the dollar’s global position, warning that a provoked China could use its considerable Forex reserves to “implement some kind of move which might have an adverse effect on the dollar“.